iCloud is really a good tool to back up iOS data. You can use it to transfer files from iDevices to iCloud and restore your Apple devices at any time you like with the Wi-Fi network. 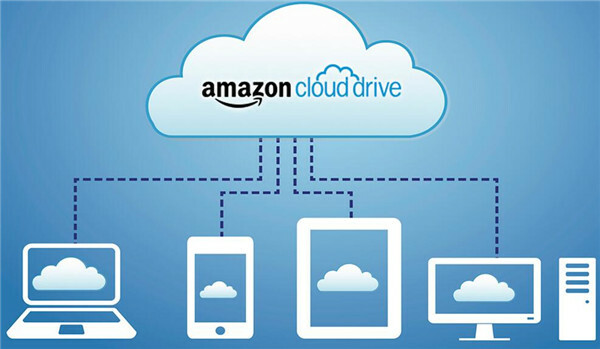 If you are not fond of using iCloud to back up files, you can also take advantage other solutions to assist you, such as Leawo iTransfer, Google Drive for iOS, Dropbox, OneDrive, MediaFire, Amazon Cloud Drive and so on. Continue to read this guidance, and you will see the brief introductions and image illustrations on some of them. In this part, I will tell you 5 best iCloud alternatives to help you to back up iOS data and files. These iCloud backup alternatives are easy to use and you can choose one of them to assist you in case you need. As the iCloud alternative, Leawo iTransfer is the most professional program to help you to back up iOS files and data. It is easy to use and you can just install and run it on your computer to prepare to manage up to 12 kinds of files among iTunes, computers and iOS devices, such as photos, music, videos, SMS, contacts, and so on. You can use it to solve various transfer problems. To transfer from iOS devices to computer is just one function of it. It is also a gorgeous music manager, which enables users to manage playlists of the iOS devices and iTunes without any limitation. If your computer is Mac, you can use Leawo iTransfer for Mac as the alternative to iCloud. 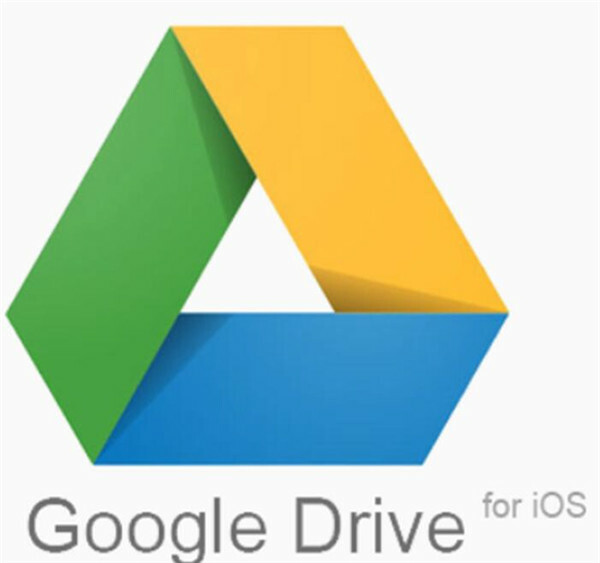 As the iCloud replacement, Google Drive for iOS is also a good choice to help you. You can install this alternative to iCloud on your iDevices from the iTunes store. Afterwards, you can use it to backs up videos, photos, documents, and any other files on your iOS mobile devices. It has 15GB of free storage. If you want a larger storage, you can buy the additional storage. You can pay just $1.99 per month to get access to100GB. If you want to have a 1TB storage, you need to pay $9.99 per month. If you pay $99.99 per month, you will be able to get a full 10TB of storage. 20TB and 30TB options of this iCloud backup alternative can be accessed by paying $199.99 and $299.99 per month respectively. Dropbox is another alternative to iCloud. 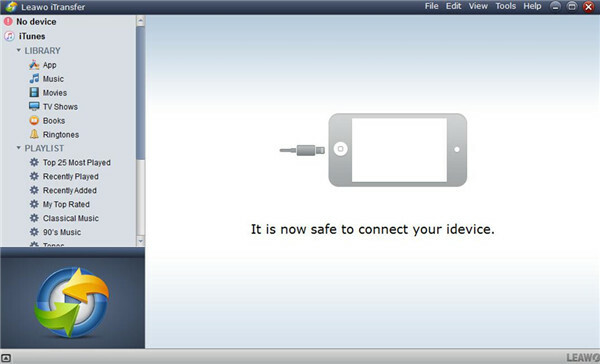 It allows iDevice users to create a Dropbox folder on computer and the folder will sync with any iDevice in order to enable users to get access to the iOS data from anywhere at any time. It is a compatible iCloud replacement with almost all operation systems: Mac, Windows and Linux, iOS, Android, BlackBerry and etc. This iCloud backup alternative starts off with 2GB of free storage, but you can earn more space by successfully referring others to the service of it. It can be made use of with various common file types, such as txt, html, doc, docx, psd, jpeg, gif, png, jpg, wmv, mp4 and so on. You can select to upgrade to a larger storage space by paying $99 per year for 100GB, $199 per year for 200GB, $499 per year for 500GB. This alternative to iCloud – Dropbox also provides storage service for business. 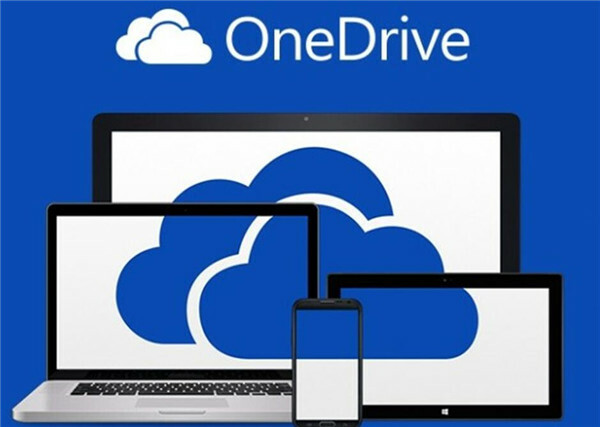 This iCloud backup alternative is produced by Microsoft, which is an application that can be downloaded to all iDevices. It comes with 15GB of free storage as well. This iCloud replacement can help users to back up and restore files and data from iOS devices accurately and safely. Its pricing structure for upgrading storage space is more affordable. You can pay $1.99 per month to unlock 100GB of storage. If you want 200GB, it only costs you $3.99 per month. If you need a full 1TB, you can pay only $6.99 per month. This iCloud backup alternative does not provide a free basic storage for users. However, if you are a new user, it will offer you a 3-month free trial. When the trial terminates, users need to choose one of the two purchasing options. If you pay $11.99 annually, you will get access to 5GB of non-photo files and unlimited photos. If you want the unlimited storage for all kinds of files, you need to pay $59.99 annually. This alternative to iCloud can be taken advantage to back up pictures, videos and almost any other primary file types. Among the above 5 iCloud replacements, Leawo iTransfer is the most powerful and professional one, which will offer you accurate and safe backup results as you expect. Therefore, I would like to introduce this best iCloud alternative to you in the next part to tell you what it is and how to back up iOS data like iCloud with it in detail. When you need an iCloud replacement, you can choose Leawo iTransfer to assist you to back up iOS data. This iCloud backup alternative allows you back up iOS data to computer easily. You can also use it to manage files among computers, iDvices, iTunes easily without almost any limitation. Here I would like to take how to use this best iCloud alternative to transfer iPad photos to computer as the instance. The detailed steps are shown below. On your computer, run the best iCloud alternative – Leawo iTransfer. Afterwards, connect your iPad with computer with proper USB cable to begin to transfer files from iPad to computer with this iCloud replacement. Wait until you see your iPad information on the interface. In the interface of this best iCloud alternative, you need to click on the iPad icon and then choose one tab under the menu of “LIBRARY” to click on. Here, in this example, you need to click on “Photos”. 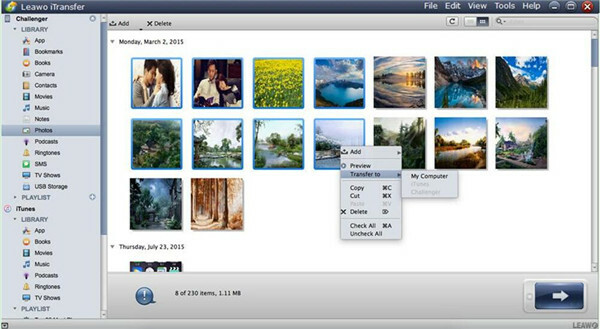 In the right part of the interface, choose the pictures you want to back up to computer, then you need to right-click on one of them. After that, click on “Transfer to > My Computer > Change” to browser your computer to set the output folder to save the iPad photos. Thereafter, you need to click on the “Transfer Now” button to start to use this iCloud backup alternative to transfer photos from iPad to computer folder. In a few minutes, the iPad files will be accessible on your computer. Thus, the iOS backup goal is realized with this alternative to iCloud. Among all iCloud replacements, iTransfer has a say. It can help you to solve various transfer problems with just a few clicks. 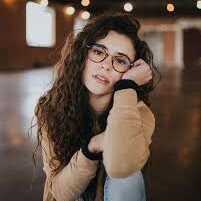 It is not hard to handle at all. With this best iCloud alternative, there will be no need to worry about the losing of iOS data and files.